Analyzing and evaluating the performance of content online is almost as important as creating it. Knowing what works and what doesn't should be the foundation of every content strategy and the most used tool for this is without doubt Google Analytics. FV Player supports Google Analytics for tracking the performance of your videos and setting things up, and using the software is fairly easy. You can read about it in this guide. But what about ads? If you bought our FV Player VAST package and you plan to earn some extra money by serving VAST/VPAID ads, you'll find yourself in the need to track not only the performance of your videos, but the performance of the ads as well. To do this, you have to know where to look for the info and what it means. Where to track the ads? 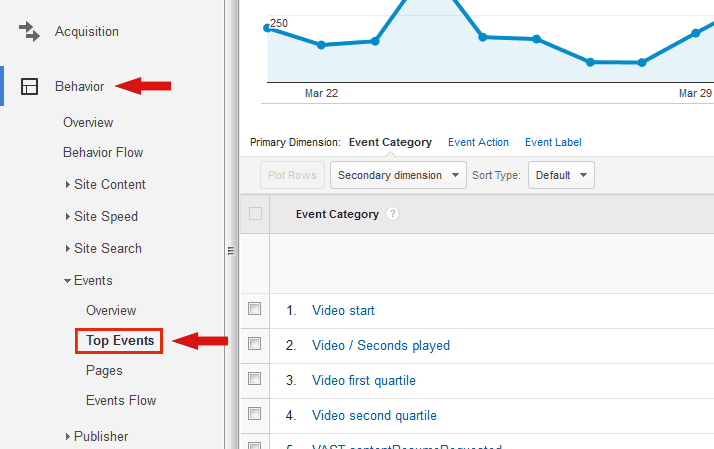 First step: open Google Analytics and go to Behavior > Events > Top Events. If you didn't own the VAST package, you would just see the video related events that show information about the performance of the videos in general, such as the overall number of plays and other. Now you can also see various other events starting with either "VAST" or "VPAID". Check the table below for more information. Init The event is recorded every time a VAST ad is loaded, therefore it's the most numerous event. However it doesn't mean the ads will be played. If ads are enabled for all videos, then an ad should be loaded every time. Compare this with the number of "Video Start" events. A difference indicates that something is wrong. VAST Ad Impression Impression means that an ad is played. That goes for both linear and non-linear ads. If a non-linear ad consists of more than one item, it creates multiple impressions. For example, linear video ad makes one impression, but an ad that consists of three ads means three impressions. VAST Ad Finished Linear video ad was completed. VAST Ad Skip Linear video ad was skipped. VAST Ad Closed Similar to VAST Ad Skip, but related to a non-linear ad - banner was closed by user. VAST Ad Click Counts clicks for both linear and non-linear ads. VPAID Ad Loaded Similar to VAST Ad Init. Tracks ads that were loaded, no matter if they were played or not. VPAID Ad Started Video ad has started. VPAID Ad Finished Video ad finished. Unfortunately there is no difference between an ad finishing normally and being skipped by the user. Therefore there is no way to track clicks. VPAID Error General statement that an error has occurred. There is no further description that would indicate the nature of the error. If you want even more detailed info, turn on the Debug option in Settings > FV Player VAST > Debug. This option is only available if you own a Pro license of FV Player, and by activating it you'll be able to see a wider range of events in Google Analytics, for example VAST firstquartile/midpoint/thirdquartile and other useful data. Google Analytics might look a bit confusing at first, but more experienced users will know that it's fairly easy to grab the data you need. There is a lot of information that you can get simply through checking the number of Total Events. For instance, if you have a 1,000 Video Starts and 200 VAST Impressions, it's safe to assume that the ads were served with 20% of your videos. The VAST Ad Finished event indicates the number of linear ads that were played from the beginning to the end, so this doesn't count the skips and errors. 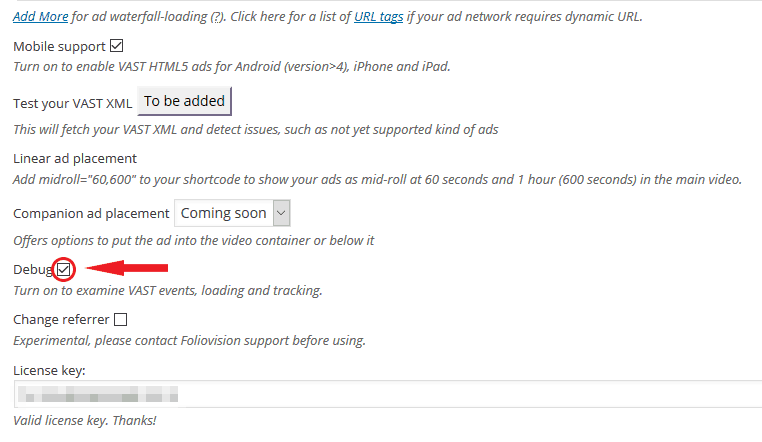 In fact, an error usually prevents the ad from being played at all, so it will not count as the VAST Ad Impression. Therefore, the number of VAST Ad Impressions consists of Finished and Skipped events and the rest of it is probably the users' bouncing off the web.